Zombie apocalypse! Except I didn’t actually draw any zombies. This is both The Bloggess and K’s fault, because they shared one of those things where your zombie apocalypse team is decided by the last three things you watched. 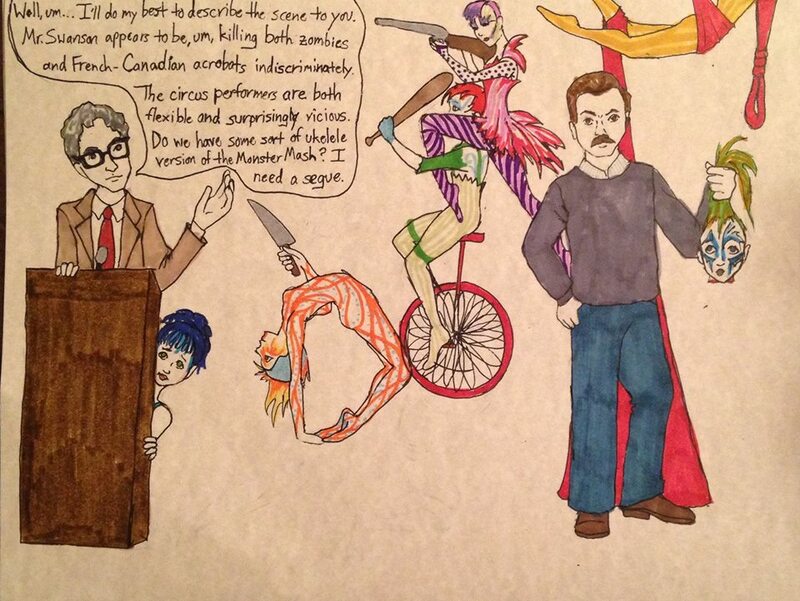 Mine were Parks and Rec, This American Life: Live at BAM, and Cirque du Soleil: Kooza, and I couldn’t resist picturing, and then drawing, what would happen. I gave Ron a weapon at first, but then I thought, nope. He’s a bare hands kind of a guy. 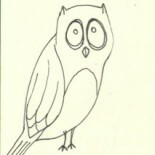 This entry was posted on July 28, 2015 by naralesser and tagged ?, non-owl, randomness.